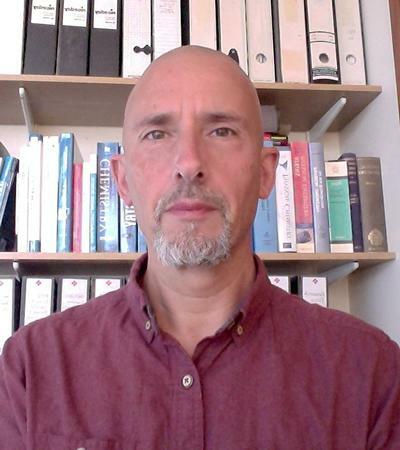 Professor George S Attard is Professor of Chemical Sciences in Chemistry at the University of Southampton. George Attard graduated from the University of Warwick with a B.Sc. (Hons). Moving to the University of Southampton he joined the Chemical Physics group to study for a Ph.D. After a period as a Postdoctoral Research Fellow at the University College of Wales in Aberystwyth he returned to Southampton as a SERC Advanced Fellow. After two years as a Advanced Fellow took up a joint position as a Scientific Associate at Courtaulds Research, Coventry – where he headed up the Materials Physics Group within the corporate Strategic Research unit – and as Courtaulds Research Fellow in Southampton, where he continued with his fundamental research in materials science and in chemical biology. After three years in industry he moved to a full time Lectureship at the University, and was promoted to a Personal Chair. George set up and led the University’s strategic drive to develop distinctive research programmes at the interfaces between the physical sciences, the life sciences, engineering and medicine. He concurrently served as Associate Dean with responsibility for Research, Enterprise and Graduate Schools for the then Faculty of Engineering, Science and Mathematics. More recently he has played a leading role in developing the University’s Strategy for Interdisciplinary Research and served as the first Director of University Interdisciplinary Research. George is Programme Director of the innovative interdisciplinary Natural Sciences degree programme at Southampton. • the discovery that certain types of naturally-occuring glycosides, when formulated to produce self-assembled nanoparticles are potent modulators of immune responses . • the discovery that lyotropic liquid crystalline phases can be used as templates for the synthesis of nanostructured mesoporous oxides, semiconductors and metals , which led to the foundation of Nanotecture PLC, a University spin-out. • the discovery that dsDNA partitions spontaneously into the inverse hexagonal phases of lipids and is transcriptionally active; this was the basis for the EC-funded NEONUCLEI programme that I co-ordinated. • demonstrating that biomembrane stored curvature elastic energy plays a key role in regulating membrane-bound proteins and in controlling lipid biosynthetic networks . My most recent research has been concerned with elucidating the way in which cells control their lipid biosynthetic networks. By using extensive experimental lipidomic data sets from both prokaryotic and eukaryotic cells, coupled with data driven modelling, we have identified the signature in vivo of network control by biomembrane stored curvature elastic energy. This is a significant result as it is the first report of a biochemical network being controlled by a non-chemical feedback signal. My current projects are concerned with how to tackle, understand and control complex chemical systems. For example, we have engaged in an extensive investigation of the ferroin-catalysed Belousov-Zhabotinsky reaction, and have mapped its complicated dynamic behaviour over a wide range of reaction conditions in both stirred and unstirred systems. We have used computational techniques to identify possible reaction networks that are consistent with these data. The aim of this work is to understand how the dynamics of the B reaction are affected by molecular crowding and by reduced dimensionality (e.g. through confinement in nanostructures) – both of which are features of biological systems. A separate project is concerned with setting up experimental systems that can produce artificial reaction networks that in terms of network metrics are indistinguishable from those observed in living systems. The aim of this work is to generate a collection of reaction systems that, though highly complex, are well defined and can be used as model systems to understand how to interact and control biological reaction networks. Attard: Complex synthetic multicellular structures as novel devices and model systems. Shearman, G. C., Attard, G. S., Hunt, A. N., Jackowski, S., Baciu, M., Sebai, S. C., ... Templer, R. H. (2007). Using membrane stress to our advantage. Biochemical Society Transactions, 35, 498-501. Nelson, P. A., Elliott, J. M., Attard, G. S., & Owen, J. R. (2002). Mesoporous nickel/nickel oxide electrodes for high power applications. Journal of New Materials for Electrochemical Systems, 5(1), 63-66. Frey, J. G., Bird, C., Todd, S., Attard, G., Goodson, K., Burt, R., & Beynon, M. (2005). Cross-disciplinarity: Benefits and Opportunities. IBM & School of Chemistry Talks Series 4, . Nandhakumar, I., Gabriel, T., Li, X., Attard, G. S., Markham, M., Smith, D. C., & Baumberg, J. J. (2004). Optical properties of nanostructured mesoporous semiconductor films. In Nanostructured Materials in Alternative Energy Devices: 2004 MRS Spring Meeting Symposium Proceedings (pp. 91-96). (Materials Research Society Symposium Proceedings Series; Vol. 822). Materials Research Society. I am passionate about teaching innovation in the chemical sciences and was responsible for introducing the first module in Chemistry to use a context-based approach to learning. I have recently designed and launched a new and distinctive Natural Sciences degree programme that emphasises student choice and that is based on the development of independent learning, critical thinking and problem-solving skills.